Lewis topped the morning session with Valtteri just 0.029s shy in P2. 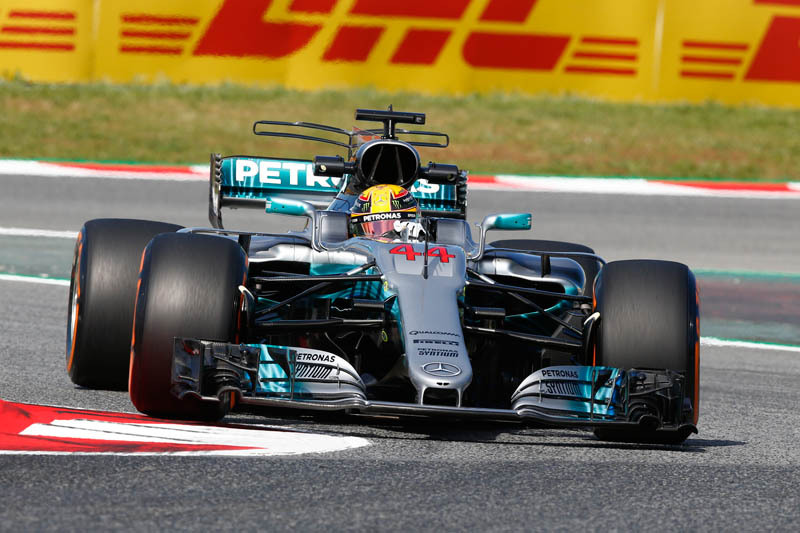 Lewis was fastest again in the afternoon session, ending Friday quickest of all, with Valtteri second - the pair split by 0.090s on the timesheets. Both drivers ran the Medium and the Hard compound tyre in FP1 and then the Soft and Medium Pirelli rubber in FP2. 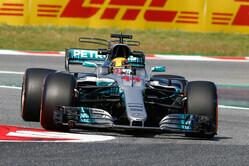 Lewis Hamilton: First practice was very, very good but in second practice the track changed and shifted quite a lot, so it was slippery and quite a lot slower for everyone - especially with the gusts of wind. It was massively challenging but still fun nonetheless. The team has done an amazing job with the upgrades and the car is working just as we expected. It's been a much better start to the weekend for me than in Sochi, so I'm very happy. We've just got to keep our heads down and keep working, we want to be number one. Valtteri Bottas: Today was an important one for us with the new upgrade package on the car. Our target was to evaluate if the new upgrades are working well and it seems like they are. At this time it's way to early to tell exactly where we are, but everything seems to be working well so far. It's always nice to start the weekend in a positive way, but the main days are Saturday and Sunday. As always we will work hard to find any performance. I really enjoyed it out there today so I hope we can squeeze some more performance out of the package. James Allison, Technical Director: It was a pretty good day for the team. We have some new bits on the car for this weekend that we wanted to try out and ensure everything was working well with those and it seems like it is. At a track that can suffer from high tyre degradation we're keen to ensure that our car is good on both the long-runs and the short-runs. We feel like we're in better shape in that compared to winter testing. We've definitely made some progress and we'll be in with a shout if we keep up the good work this weekend. Vettel: You should be ashamed!